How to Create New Year Resolutions and KEEP THEM! Then you find yourself, a day, a week or a month later in the same spot you were that day you brushed your hair out of your eyes. (Not physically of course, literally, because that would be a long time to stare at yourself in the bathroom mirror.) Many start with the best of intentions but find more often than not their resolutions pushed to the wayside and quickly forgotten like the sweater your grandmother gave you for Christmas last year that was 2 sizes too small and is stuffed in the back of your overflowing closet. I’m going to show you how to create resolutions that will not fall by the wayside and will stick, like that cherry-red piece of gum on the bottom of your shoe. The most important step in creating resolutions is having a vision of what it is you want to accomplish. Figure out what is meaningful and important to YOU. You want to accomplish these goals for yourself; not your spouse, family, co-workers or because society says you should. Your intentions to make a change needs to come from within. Close your eyes and think of what you want to accomplish; maybe it’s where you live, what you look like, better health, new career, or improved relationships. Visualize your desires in your mind as clearly and with as much detail, emotion and sensation as you can. • What have you always wanted to do but have been afraid to attempt? • What would you dare to dream if you knew you could not fail? • What difference do you want to make in the world? Instead of attempting to make major lifestyle changes all at the same time, such as losing weight, riding yourself of an addiction, maintaining a healthy diet, increasing or starting an exercise routine, pick one. Your energy will be directed in one area of your life and it will increase your chances of accomplishing that resolution. For smaller adjustments such as taking a weekly course or learning to swim, have no more than 2 or 3 changes you want to work on. I have many goal/resolutions I want to accomplish over the next 6 months, year, 5 years and 10 years however, I cannot attempt them all at once. My mind would explode! I have a master list containing everything I wish to accomplish over those specific time periods and I select a couple to tackle at a time. Once you have accomplished your resolution, or feel you have a good handle on it, you may then go to your master list and add in a new one. Whether you choose to write them by hand, create a word document or a fancy-pants vision board, gettin g it out of your head and onto something you can see every day is one of the key elements to sticking to and accomplishing your goals. Remember dear ol’ grandma’s sweater? Out of sight, out of mind, right? Writing down the resolutions and keeping them in sight, creates a greater connection than if you simply think it in your head. The brain cannot hold more than one thought at a time, so do yourself a favour and write them down. Focus your energy on the desired outcome, highlight the positive and take the emphasis away from the behaviours you are trying to change. Join groups or seek out friends that have the same resolutions you do. Want to learn to run 5K? Join a running group. Want to bulk up or lose weight? Get a personal trainer. 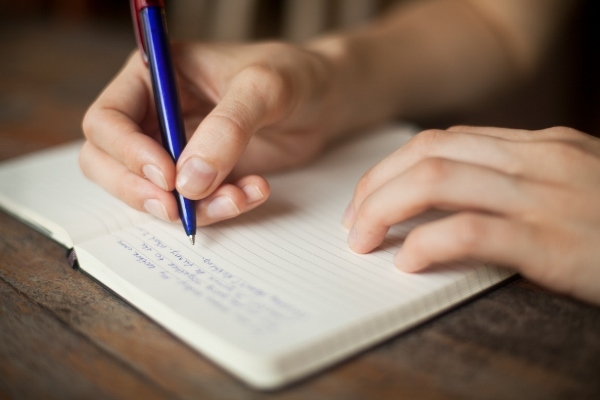 Want to write the next best seller? Take a creative writing course. Support from others can be invaluable and provide motivation. Their support can be the ‘woo to your hoo’, the ‘cheer to your leader’, the ‘flip to your flop’. Are you still working towards accomplishing your goal? Is the resolution still one you want to pursue or is it no longer important to you? Have you fallen off the wagon and are all muddy but still want to get back on it and wash the mud off your boots? Reviewing your resolutions can give you a boost and provide the inspiration to keep going. It gives you a chance to assess new ways to accomplish your resolutions if the first attempt isn’t going as smoothly as you had hoped. It also allows you to focus on what is important to you. Perhaps running a half marathon was important to you 6 month ago but since you have realized sticking a fork in your eye and hopping around on one foot in your underwear singing ‘O Canada’ sounds glorious compared to going out for a run. (Not that I’m talking from personal experience or anything.) It may be time to re-adjust or DELETE that resolution. You can write your resolutions down, make a vision board, affirm to yourself in the mirror every morning but ultimately you are responsible to make the change and make them stick. There is no magic hat, no witches brew, no pill to pop. Resolutions won’t be accomplished without you showing up and putting in the effort. Your life is up to YOU. Make it happen. 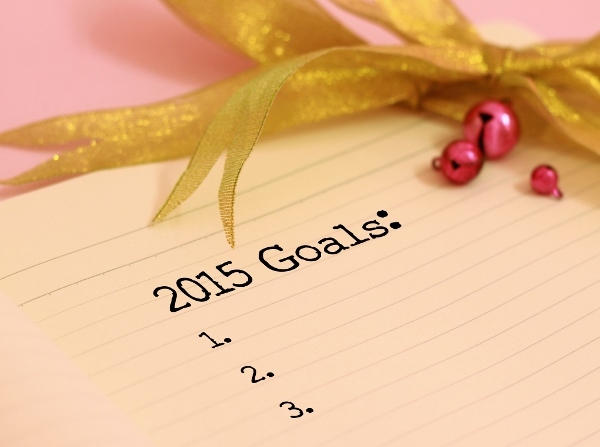 What resolutions are you setting for 2015? 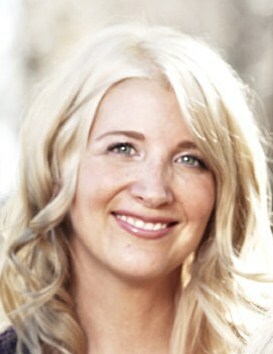 Shelby is a lifestyle and wellness coach living in Vancouver, British Columbia. Through her coaching training and from years of leadership, coaching and training in the workplace, Shelby can pinpoint one’s unique interests, talents, limitations, experiences, goals, knowledge, or skills and tailor her teachings and coaching to meet each client’s situation. Get support on how to Live an Authentic and Courageous Life, subscribe to Shelby’s newsletter and connect with her on Facebook, Twitter or click here to book a session or send an inquiry. Writing it down definitely helps, especially when giving a firm deadline. It takes it from “wouldn’t it be nice” to a “I will do this!” Great advice for the new year! Thanks for providing specific tips on how to turn our goals into reality. I will definitely share this! Thank you! I’m glad you enjoyed it and was helpful! Great tips! Number 2 is the most important for me: having too many resolutions does not work for me at all. I agree. I have A LOT of them but only work on a few at a time, otherwise I give up on them all. Thanks for stopping by. This post was very helpful for me. Again, thank you! Thank you for reading! I’m thrilled it was helpful for you! Excelent tips. Number 7 I think is the clue to succeed. Thank you for reading! I believe it is the key to success as well. Great ideas! Let me help you! Thanks for the reblog. Very much appreciated. Great tips. I like the idea of tackling one goal at a time.